New Delhi: The proposal for sale of Educomp Solutions Limited (ESL) to Ebix Inc has recently been cleared by a Committee of Creditors (COC). The committee consisted 24 Educomp Solutions Limited (ESL) banks and lenders and three lenders of its subsidiary —Edu Smart Services Private Limited (ESSPL). Listed in the Nasdaq Stock Market, Ebix Inc is one of the leading companies in insurance and payment processing software and exchanges. As a part of its expansion plan in India, the company reserved $300 million for investment in the country. The plan also included acquiring companies in the digital learning and remittance space. It was after a series of discussions where in COC members analysed the resolution plans and evaluation criteria that the proposed plan by Ebix Inc was finally approved. It is as per the norms of a new law on insolvency and resolution process that led to the transfer of ownership and operational management. “The purpose of IBC (Insolvency and Bankruptcy Code) is to revive companies like Educomp, Essar Steel, Binani Cements, etc., which have a fundamentally strong model but a stressed balance sheet.This can be done by bringing in a new management with strong balance sheets, and is the only way to revive these vital sectors of the economy. 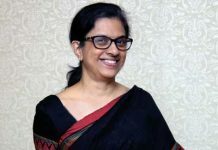 What is important is that the process has produced a highest bidder, which complies with the processes and standards of the IBC, including stringent checks on the connected party issue, which were conducted by M/s Kroll,” one of the bankers involved in the resolution process said on condition of anonymity. It is deemed as one of the best run processes so far, with proper supervision of the resolution process by the COC under the watch of the Resolution Professional and process advisors Price WaterHouse Coopers. As per a transaction audit based on IBC norms, Educomp’s resolution and operational handover process was found to be satisfactory, leaving aside a few technical issues. Moreover, even the forensic audit by Grant Thornton did not reveal any adverseeffects. Furthermore, various aspects of the resolution process (including conflict of interest) were clarified by Mahender Khandelwal, Educomp’s insolvency resolution professional. As a matter of fact, certain changes pertaining to IBC were approved by the government last year. It was in an attempt to streamlinethe process of selecting buyers for stressed assets. Also, a few provisions were framed to enhance the quality of insolvency resolution. The provisions briefly included (1) Prescribing eligibility criteria with respect to prospective resolution applicants, (2) Inserting a new section to lay down a comprehensive criteria with respect to persons ineligible to be resolution applicants, (3) Providing a robust due diligence framework to enable the Committee of Creditors (COC) to make proper assessment of credit worthiness and other relevant parameters of the applicant as may be prescribed by the Board, before approving a resolution plan. Certainly, the changes introduced in IBC are looked upon as a robust move. It will provide the companies a chance to reinforce, start afresh, bring in capital into the country, and cut down on the backlog of non-performing assets. Great news for Educomp Solutions.…it’s a good chance for it to start a fresh. I was pretty sure that company will revive soon.